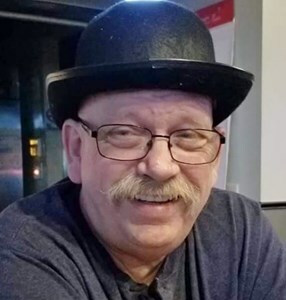 Newcomer Family Obituaries - Ronald Allen Derenberger Sr. 1959 - 2019 - Newcomer Cremations, Funerals & Receptions. Ronald Derenberger Sr., 59, passed away peacefully at home Feb. 8, 2019. Ron was an amazing husband, father, cousin, brother, brother -in-law, grandfather, and uncle. Family meant everything to him. He was a friend to many. He served 6 years in the United States Army as a young man. In his most recent years he drove an 18 wheeler. After a short stint as an over-the-road driver he settled on local driving. Almost 10 years to PA and back daily, then Cincinnati and back daily. He was a lifetime member of the Auxiliary VFW Post 4044 on Eakin Rd where he held many volunteer positions such as helping with Saturday breakfast, the Hilltop Bean Dinner, Auxiliary dinners, picking up donations and serving as an Aux officer. He is survived by his wife of 24 years, Nancy, Son Jason Spencer (Patricia), Son Ronald Derenberger II (Jeanna), Daughter Crystal Vaught (Marcus), Stepdaughter Anna Wilkins (Bryant), Stepdaughter Amy Montoney (Taze Aisel), Sister Sharon DeWeese (Raymond), Brother Raymond Derenberger (Stella), Brother Kevin Derenberger (Vicki), Sister-in-law Toni Lacy (Don), Sister-in-law Sue Tier, Brother-in-law Paul Montoney (Connie), Several Nieces and Nephews, Grandchildren, Dylan, Emily, Jesi, Brooke, Jena, Carly, Alli, Raylee, Quentin, Jake, Vinny, Levi and Mason, 3 great grandchildren and 3 step grandchildren. Visitation Wednesday, Feb. 13, 2019 from 5-7pm at Newcomer, SW Chapel, 3393 Broadway, Grove City, OH. Additional visitation Thursday, Feb. 14, 2019 from 11am until the time of Funeral Service at 12pm at the Funeral Home. Interment to follow at Mifflin Cemetery, Gahanna, OH. In lieu of flowers, donations may be made in Ron's memory to Faith Mission, 245 North Grant Ave., Columbus, OH 43215. Add your memories to the guest book of Ronald Derenberger Sr..
Ron will be missed by many. I didn't have the pleasure of knowing you for long, but you always made me feel welcome. You always had a smile on your face. Miss you my friend. Nancy and Family, I am so sorry for your loss. I hope your fondest memories of Ron comfort you all in your time of grief and sorrow. My condolences to the family... So very sorry for your loss. God Bless/RIP. A heartfelt Thank YOU, Ron for your service in The United States Army..And Semper Fi. .. Soldier. He was a Member VFW Post #4044 Aux. Pops Ron stepped in to be my dad when I needed one. He was always honest and kind with me, and he was a good listener. He was generous with his time with family, and I will miss him greatly. Papa Rock, we love you!!!! Our sincerest condolences during your time of sorrow. Ron was a kind and funny man and will always be remembered fondly. Ron passed through our lives too briefly but his work on earth is done and now he is at rest with our Lord. This is something in itself that we all have to look forward to...until we all meet again. May you find rest, peace and comfort in the days ahead in the comfort of God's word and your family and loved ones at this time. I am going to miss you were a fantastic bother! So many great memories, it's hard to single out just one. We have many times talked about the night that mom passed away and how we never wanted to suffer like her. I hope you received your that wish. God bless and we will be together again someday! The funniest time I had with Ron was a clown picture I had. Ron saw something in that picture I never seen a nasty clown he took that picture home I still laugh when I think of that day. You will be missed dearly. Love you Ron. We visited Ohio during the summer of 2008 and spent the 4th of July up on Lake Erie. Never a dull moment... Ron was always cutting up, dancing, helping others and telling stories... He was one of a kind and a very special member of the family. We will miss him greatly but will never ever forget him. Our deepest condolences to Nancy and the family. We love you. Lots of prayers for you and your family for comfort in your time of need. Big hug to you Nancy.